November 20, 2011 - SkyWest announces its wholly owned subsidiary, Atlantic Southeast Airlines (“Atlantic Southeast”), and ExpressJet Airlines (“ExpressJet”) a wholly owned subsidiary of Atlantic Southeast, received approval Thursday from the Federal Aviation Administration (FAA) for a single operating certificate. This was the final regulatory step for the two merging airlines to operate as one. Effective Dec. 31, 2011, the combined airline will operate solely as ExpressJet Airlines and will be the largest regional airline in the world with more than 400 aircraft operating 2,350 flights each day. SkyWest is the holding company for three scheduled passenger airline operations and an aircraft leasing company and is headquartered in St. George, Utah. SkyWest’s scheduled passenger airline operations include SkyWest Airlines also based in St. George, Utah, Atlantic Southeast based in Atlanta, Georgia and ExpressJet Airlines based in Houston, Texas. SkyWest Airlines operates as United Express, and Delta Connection carriers under contractual agreements with United and Delta. Also, SkyWest Airlines operates flights for Alaska under a contractual agreement. Atlantic Southeast operates as United Express and Delta Connection carriers under contractual agreements with United and Delta. 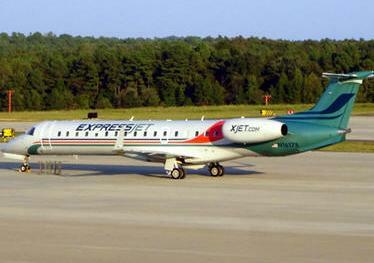 ExpressJet Airlines operates as Continental Express and United Express under contractual agreements with Continental Airlines, Inc. and United and is a subsidiary of Atlantic Southeast. System-wide, SkyWest serves markets in the United States, Canada, Mexico and the Caribbean with approximately 4,000 daily departures and a fleet of approximately 727 regional aircraft.